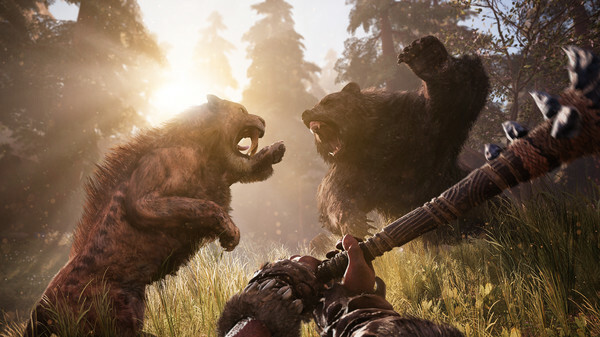 <Attention> After payment you instantly, automatically receive a license key Far Cry Primal activation in Uplay. 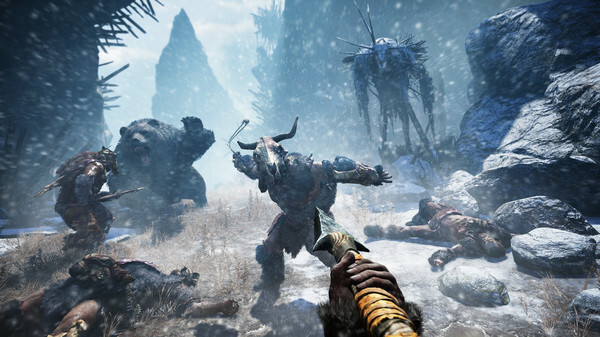 A series of Far Cry, will give you a crazy adventure in the tropics and in the Himalayas, this one will take you to where the fight for survival will be tense as ever. Among the picturesque open spaces of the world inhabited by amazing fauna, you can expect anything to happen. Be prepared for the unexpected! You will be in the Stone Age, so - in mortal danger. The land belongs to the reign of mammoths and saber-toothed tigers, and the man is somewhere in the beginning of the food chain. You are the last survivor of a group of hunters. You have to make deadly weapons, to protect themselves from wild animals, hostile tribes fight over territory and prove that you are not prey and predator. Your character´s name Thakkar. He is the only survivor of the hunter of the group. In his life there is only one goal - to survive in a world where a person is considered easy prey. Hone skills and lead your tribe to prosperity. With the help of unusual characters, which will help to overcome the danger of wildlife. Fight the warlike tribes, ready to do anything to wipe you and your friends to the ground. 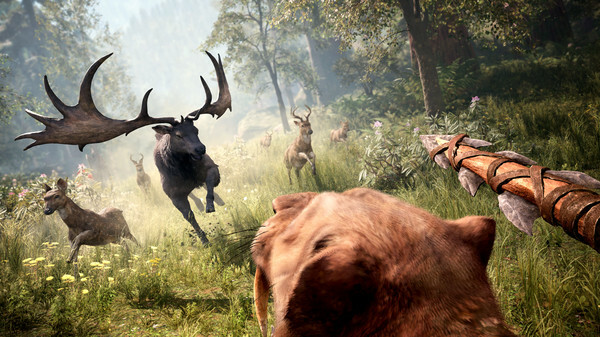 Kill wild animals and defeat the enemies to prove that you are the most dangerous predator in the Urus. You are the first person in the world who try to tame the most dangerous creatures in order to become the leader of all Urus. Tame animals, who will meet you on the road, so they helped you when needed. To get started, try to tame owl: it can inspect the area from above. Each animal has unique skills: the wolf always warn the owner about the danger, the saber-toothed tiger will get more resources, jaguar silently attack your enemy, and bear crush any obstacle. Move to the back of the animal - much faster than walking. 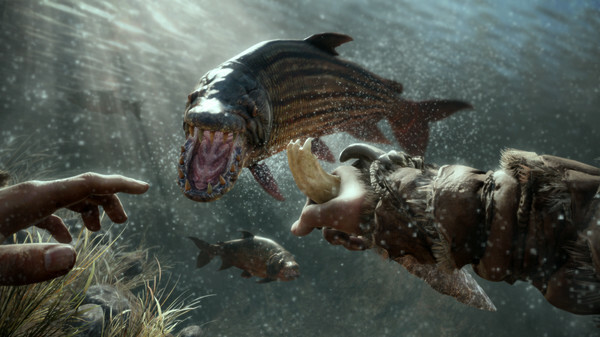 You will be able to race riding even saber-toothed tiger or bear. It is not just the stone age. 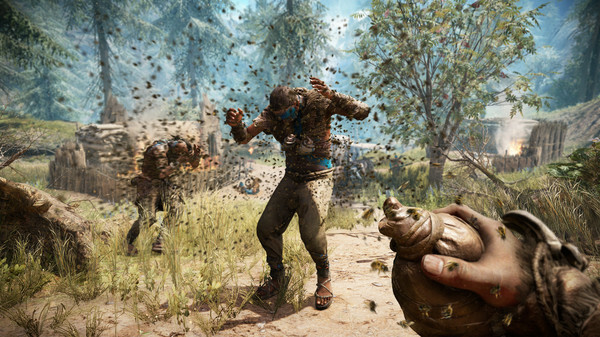 This is the stone age in the world of Far Cry - this era of madness and unbridled power. 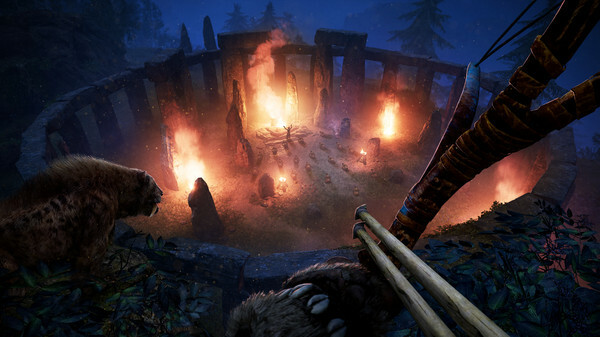 Find the enemy outposts and go on the attack, using a weapon made from the bones of animals killed you. 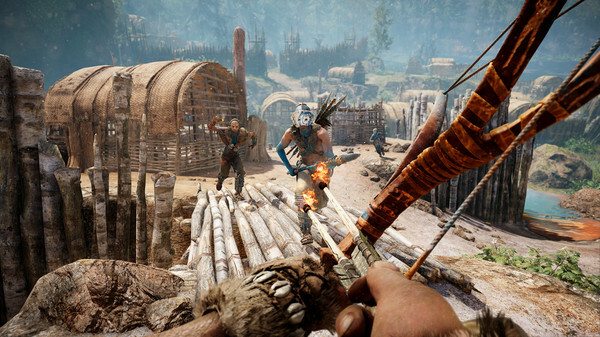 Learn how to use the fire to gain a tactical advantage in combat with hostile tribes or protection from wild animals. Chase their prey to deadly attack. But be careful - the scent of blood can attract other predators. 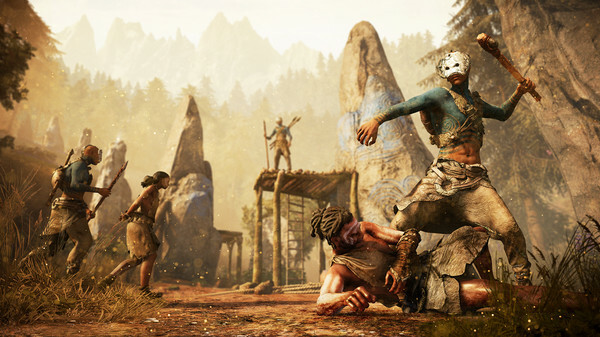 In the Stone Age to your arsenal of deadly weapons will be especially diverse, and your life will be in danger of the most unimaginable danger ... in the best traditions of FarCry. Ice Age is over and fauna in the world is going through a real flourishing. Humans and animals have all the necessary resources for life, but each of the species will have to defend the right to exist in a continuous struggle. Life in Urus literally boils, it is inhabited by many creatures, from wolves and deer to the inhabitants of the militant tribes. It is home to representatives of megafauna such as saber-toothed tigers and woolly mammoths - the real giants, terrifying the rest of the living beings. 2. Register a new Uplay account or log into an existing. 3. Click on the image of the "Gears" and select "Activate a product". 4. Enter your Activation Key received after payment. 5. 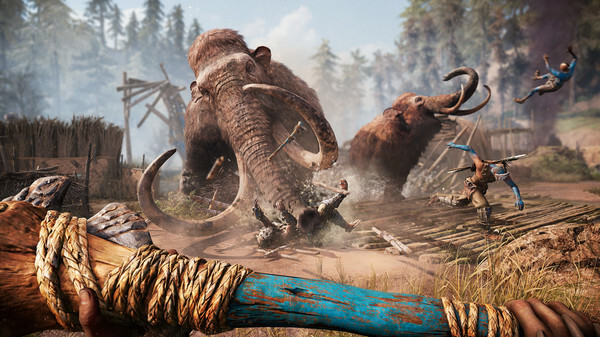 After that, the game will be displayed in the library of games and you can download Far Cry Primal. 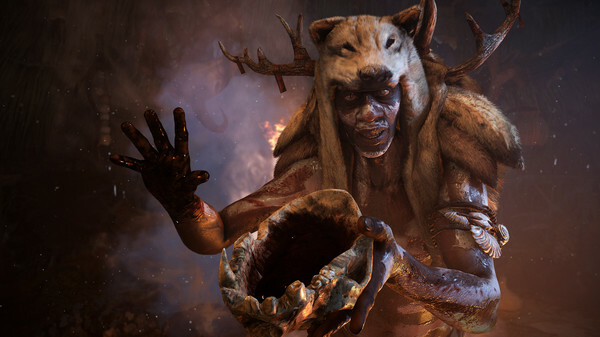 <Delivery> This product (Far Cry Primal) distributed via digital distribution, represents the only pin and does not contain the packages and boxes.